Study objective. To investigate the frequency and extent of spontaneous changes (“events”) in continuously measured mixed venous oxygen saturation (SvO 2) in septic patients and to determine whether attention to individual event-frequency offers additional information for patient management.... It has been established that mixed venous oxygen saturation (SvO2) reflects the balance between systemic oxygen deliver y and consumption. Literature indicates that it is a valuable clinical indicator and has good prognostic value early in patient course. 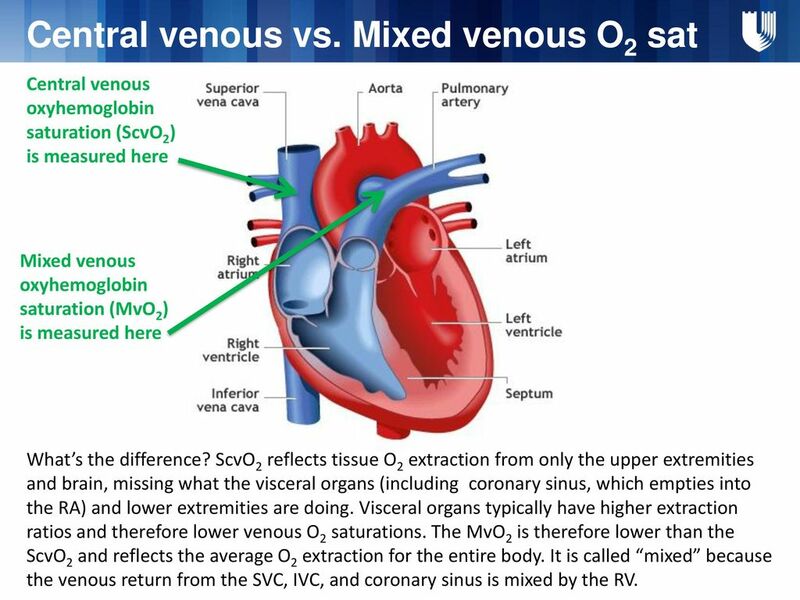 Mixed-venous oxygen saturation (S0 2) refers to the percentage of hemoglobin with oxygen in the binding sites in the right ventricle and the pulmonary artery. The utilization of this physiological parameter as a regulating variable in a rate-adaptive pacemaker system was first proposed by Wirtzfeld... Study objective. 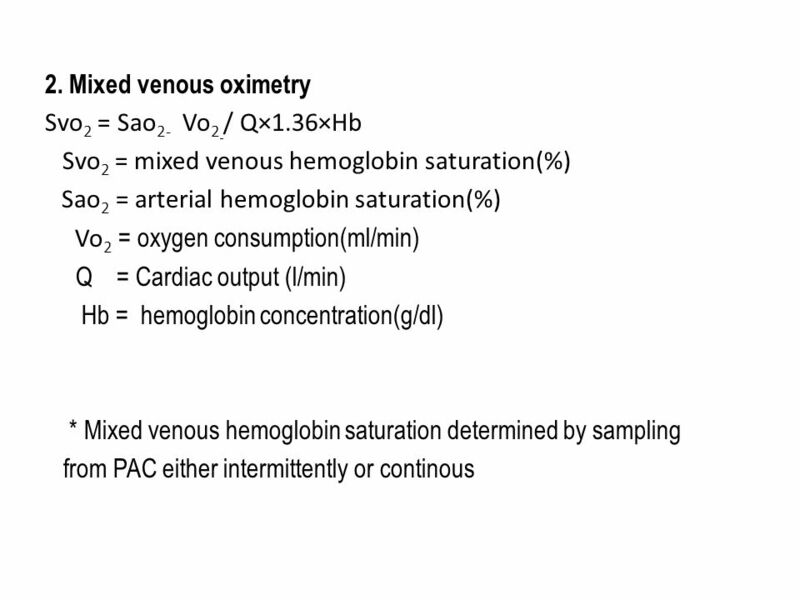 To investigate the frequency and extent of spontaneous changes (“events”) in continuously measured mixed venous oxygen saturation (SvO 2) in septic patients and to determine whether attention to individual event-frequency offers additional information for patient management. 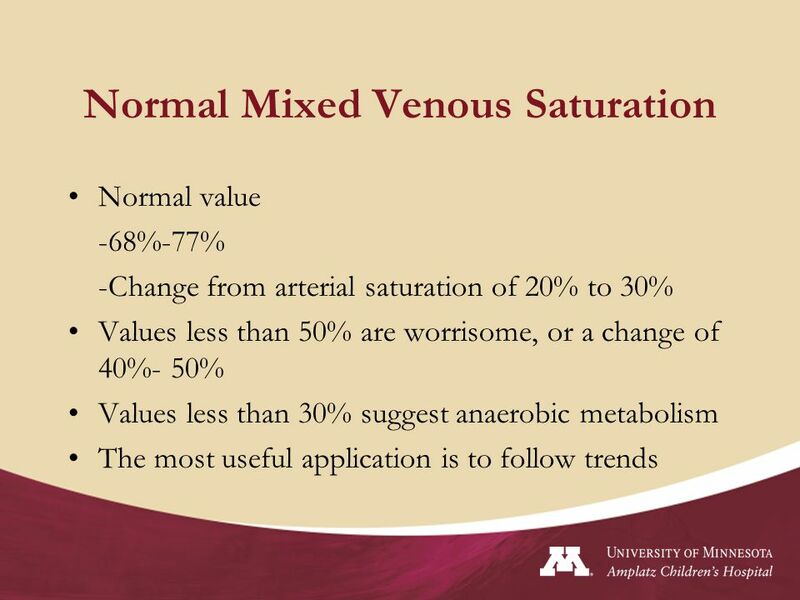 Mixed venous oxygen saturation (SvO2) can help to determine whether the cardiac output and oxygen delivery is high enough to meet a patient's needs. It can be very useful if measured before and after changes are made to cardiac medications or mechanical ventilation, particularly in unstable patients.... Study objective. 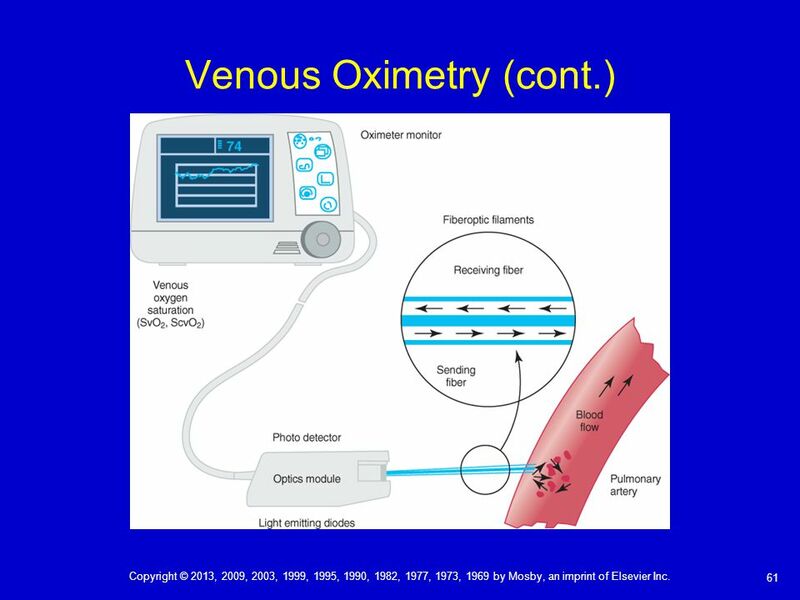 To investigate the frequency and extent of spontaneous changes (“events”) in continuously measured mixed venous oxygen saturation (SvO 2) in septic patients and to determine whether attention to individual event-frequency offers additional information for patient management. Summary. Background: Near-infrared spectroscopy (NIRS) is a noninvasive optical monitor of regional cerebral oxygen saturation (rSO 2). The aim of this study was to validate the use of NIRS by cerebral oximetry in estimating invasively measured mixed venous oxygen saturation (SvO 2) in pediatric postoperative cardiac surgery patients. Editor—We read with interest the study by Holm and colleagues 1 x 1 Holm, J, Hakanson, E, Vanky, F, and Svedjeholm, R. Mixed venous oxygen saturation predicts short- and long-term outcome after coronary artery bypass grafting surgery: a retrospective cohort analysis.